Degasser is used to eliminate the gas in gas cutting drilling fluid, its treating capacity should reach to full flow treating. 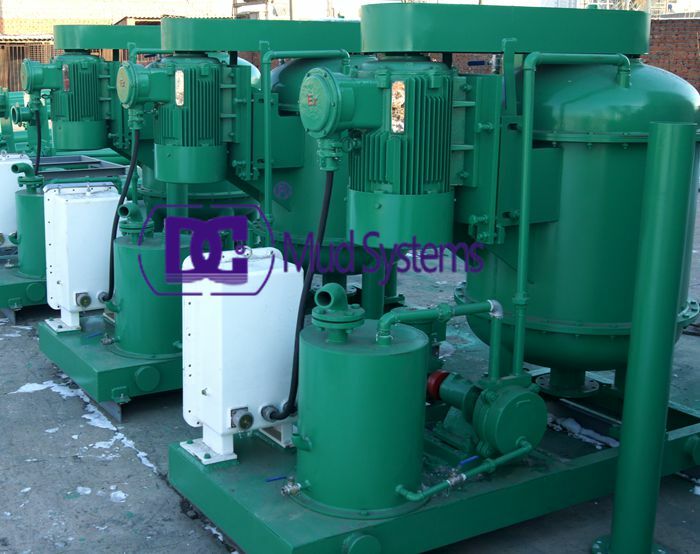 Vacuum Degasser is must installed behind the shale shaker and before centrifugal pump. The degassers can be grouped into two kinds: ordinary pressure type and vacuum type. The ordinary pressure degasser is to use the centrifugal to take out gas to invade the mud, with the help of centrifugal force to make the mud spraying in the jet tanks and striking on the wall to make gas releasing. The vacuum degasser is to use the suction of the centrifugal, forming negative pressure in the vacuum tanks, under the action of drilling fluid at atmospheric pressure, through the suction pipe into the hollow shaft, then by umbrella piece of around the hollow shaft assembly, they jet to the skin of tank. DC Solids control combines the advanced technology at home and abroad to design the high quality vacuum degasser. You can be assured that our products are of the quality you expert.